Origin Enterprises plc (“Origin”) is a leading Agri-Services group that provides integrated agronomy services. Based in Dublin, it offers value-added technologies and strategic inputs that support the delivery of profitable and sustainable food production solutions for primary producers. N-iX dedicated development team has been working on several projects for Origin. They include a solution for optimizing internal systems and processes in the agriculture domain, a mobile application with GPRS tracking available offline, smart planning for farmers, nutrient planning and recommendation solutions, and others. N-iX provides mobile application development, web development, product support (including user interviews with agronomists), project management, software QA and testing, and UI/UX design. Our engineers have developed a mobile app and a number of web applications for Origin. They serve as digital platforms for farmers, agronomists, and product and credit providers offering wide functionality from optimizing cooperation between parties to effective estimation and recommendations in the agriculture sphere. For instance, one of the applications developed by N-iX team is a progressive web application that integrates modern web capabilities and the benefits of the mobile experience. In order to meet the client’s requirements, the team has thoroughly studied the agriculture domain and various industry specifics. Origin Enterprises plc is a large Agri-Services group with leading market positions in Ireland, the UK, Poland, Romania, and Ukraine. 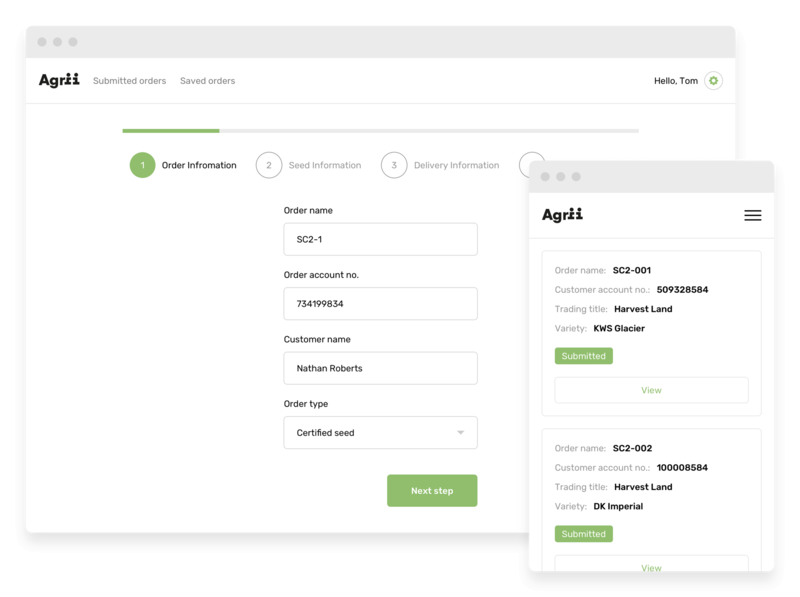 Origin offers a responsive web application which enables effective communication and cooperation between agronomists and customers as well as optimizing sales and logistics processes within the company. Another project of the company is a mobile and web application for farmers and product and credit providers. 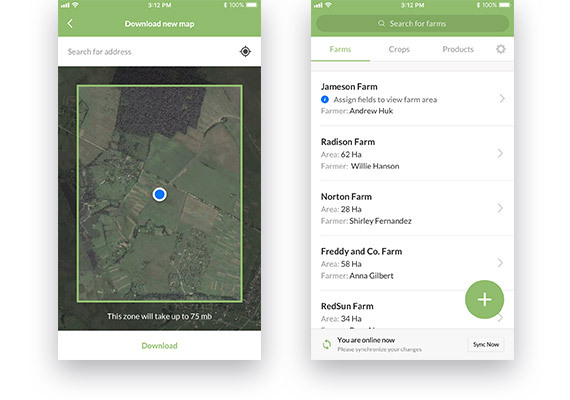 The mobile app enables farmers to measure their fields characteristics, such as boundaries, and record everything in a cropping history. This information can then be shared with their product and credit providers to help secure products and finance. 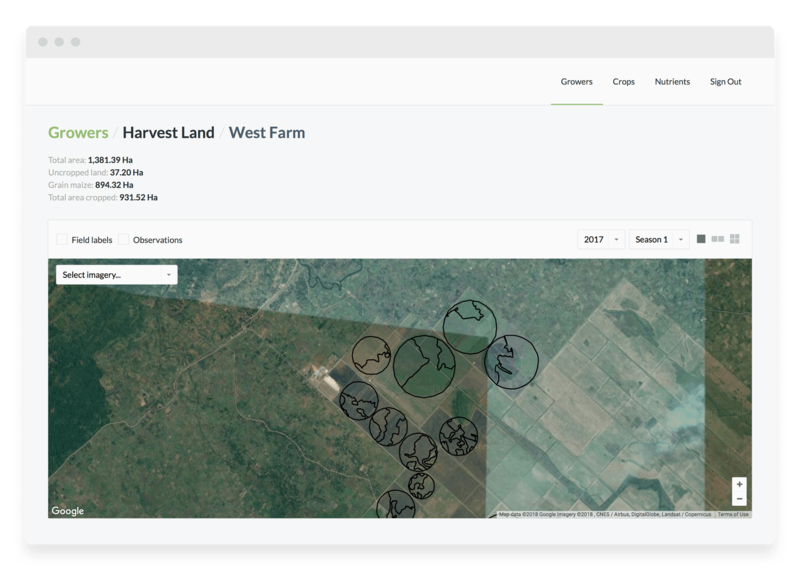 Another solution offered by Origin is a web-based application with a set of tools for monitoring farms, fields, and crops. It is integrated with weather forecasts and satellite imagery. The satellite imagery data and unique image processing mechanisms allow users determine their crop health status.